1. 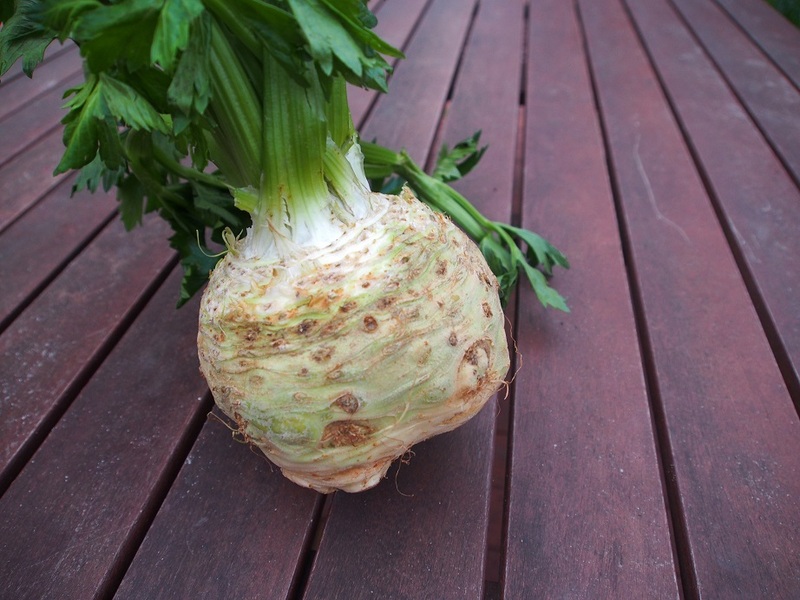 Steam the prepared celeriac until soft. While the cooked celeriac is still hot, mash with grated dry mushrooms, cheese and pepper, then set to cool in the fridge. 2. Process the oats in a coffee grinder. The result should look like a coarse flour. 3. Pull the stems out of the mushrooms and season inside the caps. 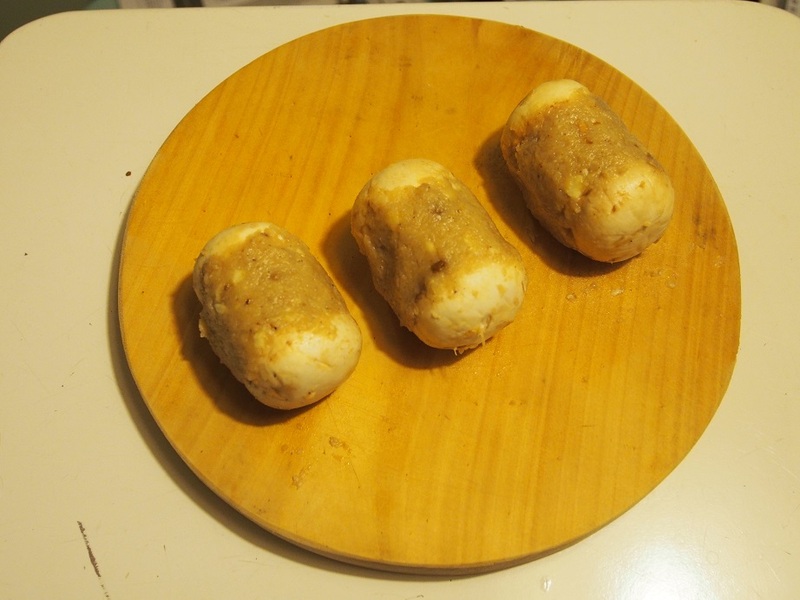 Construct a croquette using two mushroom caps and the celeriac mixture in between. 4. 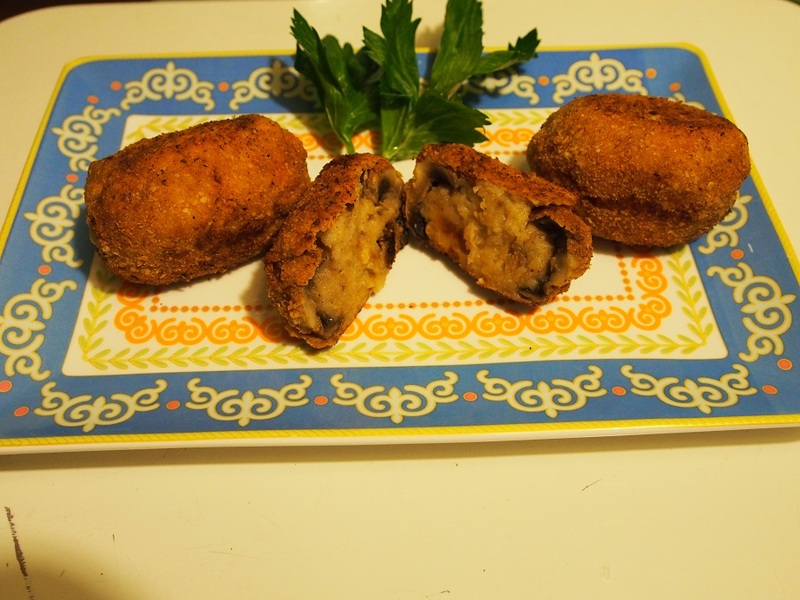 Roll each croquette in the oatmeal, dip into the beaten eggs, then roll in oats again. 5. 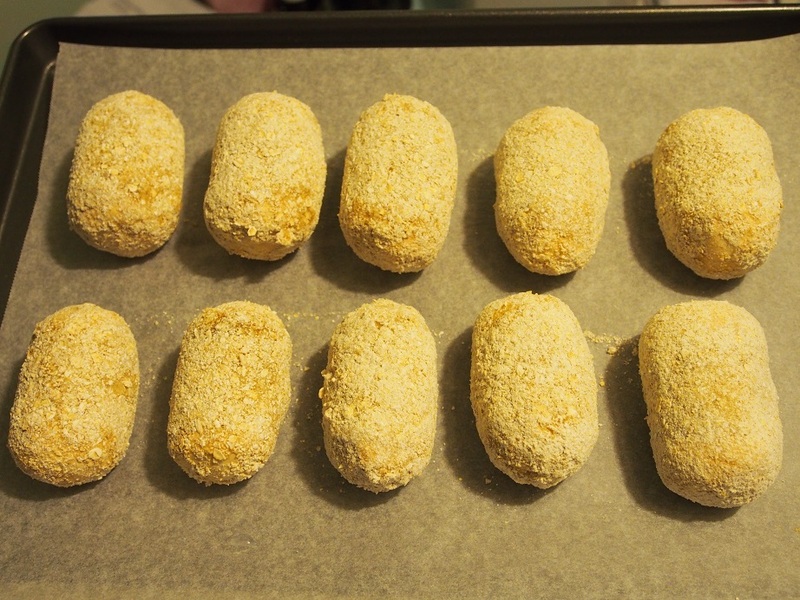 First option: spray the croquettes with oil and bake at 180C for 25 minutes with no fan. Second option: deep fry.